fast casual experience for the whole family! All dinner plate come with two choices of side dish: Fries, Greek salad, or Potato Rice. 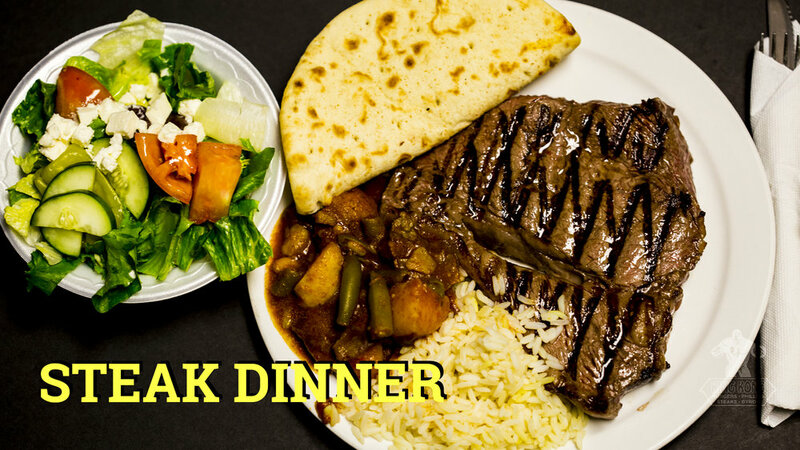 King Kong signature Prime Top Sirloin steak cooked to order with two choices of side dish and pita bread. Whole chicken breast grilled and topped with lettuce, tomato, onion, pickles and cheese on a sesame seed bun. 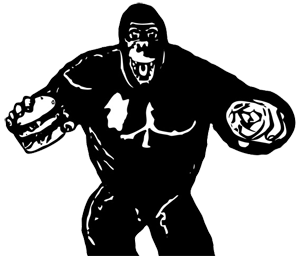 King Kong burgers come topped with lettuce, tomato, onion and pickles on a sesame seed bun. Mushrooms and bacon also available at additional cost.